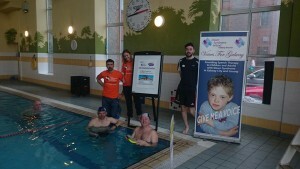 Club Vitae (Maldron Hotel, Oranmore) are holding their 3rd annual 24hr Swimathon to mark World Down Syndrome (March 21st). The Swimathon will commence on Fri 25th March @ 6pm until Sat 26th March @ 6pm in 30min time slots. If you would like to participate in this event, contact Hugh or Bran at Club Vitae oranmore@clubvitae.ie 091-792434 to book your slot.